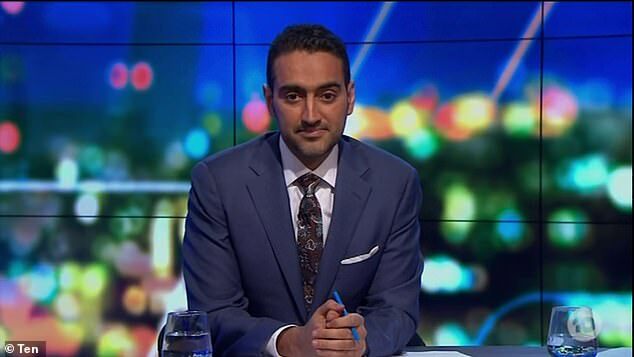 Project host Waleed Aly has grilled Scott Morrison in the wake of the Christchurch attack and asked if the Coalition government has an Islamophobia problem. Aly put the question to the prime minister in a live on-air interview on Thursday night, following a week of ongoing tension. Aly and Mr Morrison first clashed last week after the Project host’s emotion-charged response to the Christchurch terrorist attack on Friday. The host took aim at anti-Muslim sentiment in politics and claimed the PM had once told colleagues to exploit fears of Muslim immigration as a political strategy in a 2010 cabinet meeting. 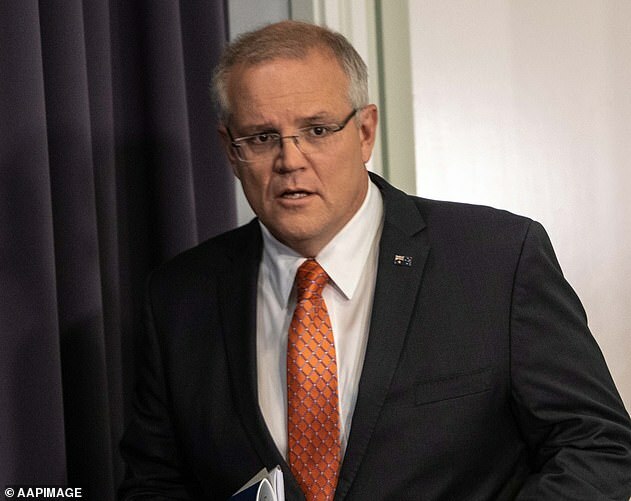 Mr Morrison promptly slammed the claims as ‘lies’ and cancelled an appearance on the show earlier this week – though has since done a u-turn and agreed to come on the show Thursday night. 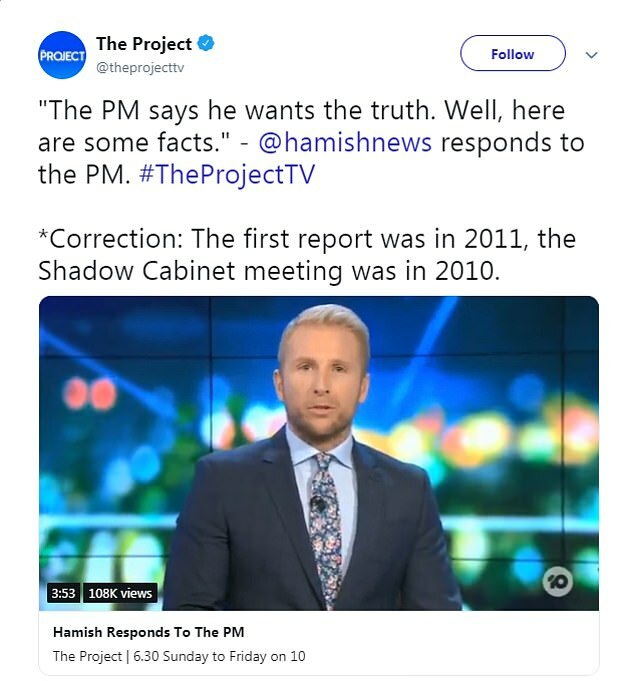 The Prime Minister’s decision to appear comes after The Project embarrassingly made a factual error in an editorial countering Scott Morrison’s claim the show was responsible for a ‘disgraceful smear’ on his reputation. Unfortunately, his speech almost immediately contained a factual error and The Project was forced to Tweet a correction shortly after it aired. MacDonald said claims Morrison advocated an anti-Muslim election strategy were reported in 2010, when they were actually reported in 2011. 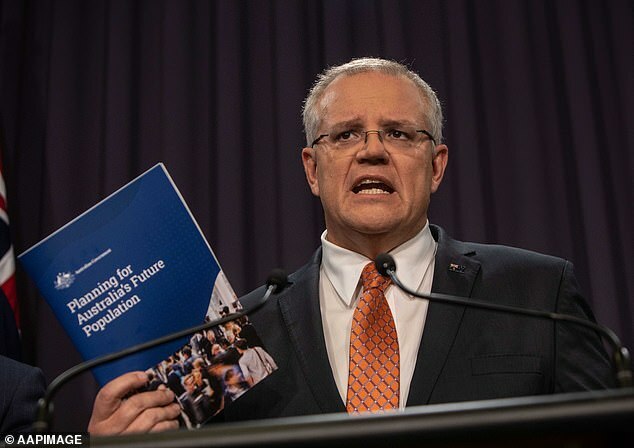 Aly’s accusation against Morrison was drawn from a 2011 report published by Fairfax that said Morrison – who was the Opposition’s immigration spokesman at the time – had brought up the strategy at a shadow cabinet meeting but it was knocked back. On whether or not the meeting happened, MacDonald said: ‘In truth, no-one but those in that room can now say for sure what was said and there does seem to be two very distinct versions. MacDonald compared Mr Morrison’s heated response to New Zealand Prime Minister Jacinda Ardern. ‘If anything paints a clearer picture on the state of Australian politics today it is this; after Waleed made that genuine, thoughtful, and reasoned contribution on Friday night — a plea for our community to come together — the Prime Minister of our country threatened to sue. ‘In contrast, New Zealand’s Prime Minister invited Waleed to her country to sit down for an interview. Mr Morrison aimed his criticism at Aly earlier on Wednesday on ABC TV and labelled the accusation an ‘appalling lie’. He pointed out he had a long history of working with the Islamic community. ‘That’s why I’m welcomed when I attend mosques in south-western Sydney, with warm embraces,’ he said. The PM also said he would not sue after his office previously called Aly’s comments defamatory. Aly has visited New Zealand where he spoke to PM Jacinda Ardern, which will be aired on Monday.